LIFTING AND RESIDENTIAL STRUCTURE RELOCATION. COMMERCIAL JACKING AND SHORING EXCEEDING 100 TONS. 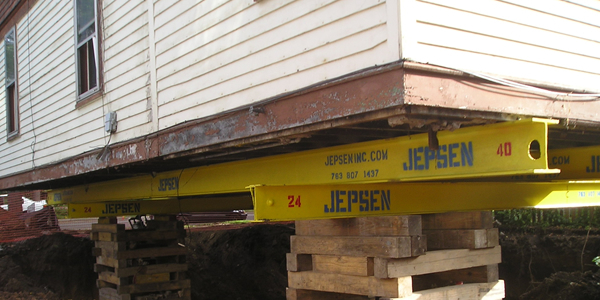 Jepsen Inc. started out as a carpentry sub-contractor. Mostly working on residential and commercial remodeling projects. Many of these projects required structural services, such as shoring and or jacking. Soon we got known as the go to company for buildings that needed extensive structural services. This lead to contractors asking if we would just do the shoring, lifting and leveling of structures. It wasn’t long and our structural shoring, lifting and leveling became the bulk of our work and we were doing some of the heaviest and most complex shoring around. Now we bring confidence, knowledge, and experience to any size of job. Our vast array equipment and history of bring solutions to jobs have made us an industry leader for structural services. Our pictures speak for themselves. 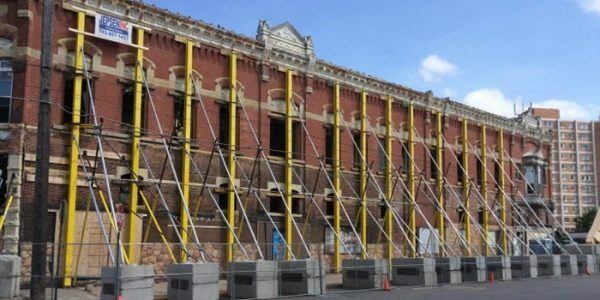 We have a proven track record of shoring columns with loads well over 100 tons without any vertical movement. With all of our specialized hydraulic systems and jacks, we can monitor how much load is being applied to our shoring and or the structure. If you have a current structural emergency please call 763-807-1437. 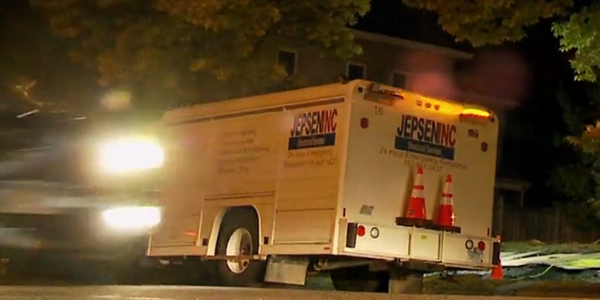 Jepsen Inc. is the only shoring contractor in the area that can truly responded 24/7.